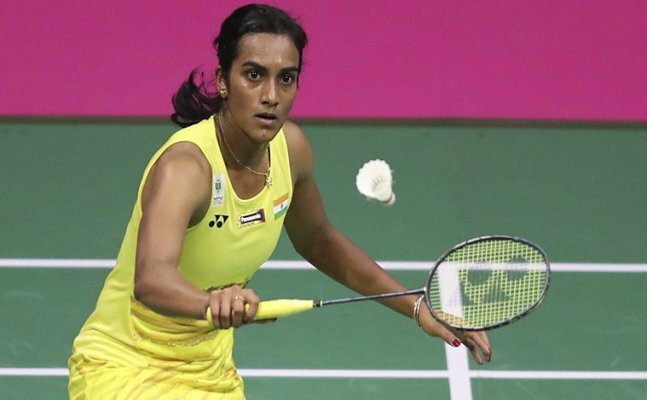 About chances of being penalised by the world body BWF for not figuring in the mandated number of tournaments, Sindhu said, "It's there (monetary fines) but the main thing is you need to keep yourself fit. It's just that you have to see which tournaments to play. Terming 2018 "as a big year", top Indian shuttler PV Sindhu on Tuesday said she wants to become the world number one by the end of it after narrowly missing out of the numero uno status last season. "It's a big year and next (tournament) up is the All England (championships in Birmingham). There are also the Commonwealth Games and Asian Games. I intend to take one tournament at a time. l want to see myself as number one by the end of the year," Sindhu said. The Olympics and World Championship silver medallist lost in a pulsating final to Japanese rival Akane Yamaguchi21-15, 12-21, 19-21 in 94 minutes in the women's singles final of the Dubai Super Series Finals to squander a golden chance to attain the number one ranking. Sindhu also lost to Yamaguchi's compatriot Nozomi Okuhara in the World Championship final 19-21, 22-20, 20-22 in August, a match that lasted a staggering 110 minutes. Sindhu had lost another 83-minute three-game thriller to Carolina Marin of Spain in the match to decide the singles gold at Rio in 2016. Asked about these narrow losses, Sindhu said she looks at them as learning experiences. "It's good that I have come till the final. It's disappointing I had lost some close matches - World Championship, in Dubai and the Indian Open (to China-born Zheng Beiwan of USA). I have a lot more to learn from my mistakes," she said. "It's just a day, it happens and I lost. Ups and downs will be happening; coming to the final and losing by a point or so should not matter." Among the three losses last year and this year, Sindhu singled out the one in Glasgow as the most disappointing. "Each tournament is different. Mostly the World Championship, I would say. It was a very long match as compared to these (others), one of the longest for me." Looking ahead Sindhu said the key was to keep fit, both mentally and physically to figure in the mandatory 15 tournaments that each player needs to play every year. "We need to pick and choose, need to be mentally and physically fit. The schedule is out. We can't play if we are ill or not completely fit."